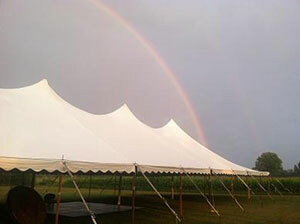 Delux Tents and Events is a second generation, family owned rental company. Our expertise and large inventory make us one of the premier rental companies in Michigan. We offer a broad selection of tents, tables, chairs, linens, glassware, flatware, meeting equipment, convention equipment and catering equipment. Delux Tents provides service to hundreds of clients including universities, corporations, school systems, non-profit organizations, hotels, full service catering companies and homeowners.